CT-S2000 thermal printer offers high speed printing with selectable paper widths up to 112 mm. CT-S2000 printer is ideal for printing applications that require larger amounts of data or information, including secure prescription printing. 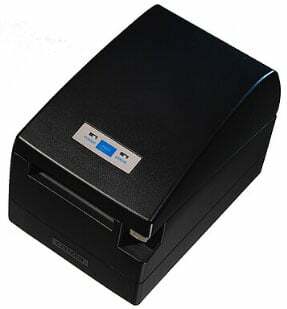 CT-S2000 2-color thermal printer features a drop-in design for easy paper loading, expanded 102 mm paper roll capacity for fewer roll changes, built-in power supply, and dual interface (USB + Serial, Parallel or Ethernet). The Citizen CT-S2000RSU-BK is also known as Citizen America	CIT-CTS2000RSUBK	or CTS2000RSUBK	.